Looking for a stunning piece of write-on home decor with which to decorate that pesky spare wall in your office or home? 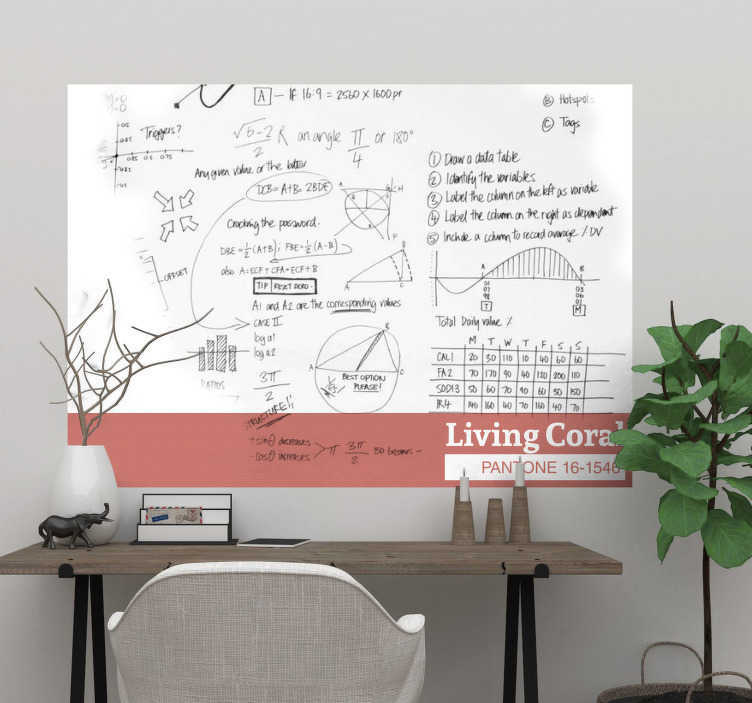 Search no further because you will not find anything more stunning than this fantastic whiteboard sticker, depicting the 2018 colour of the year - Living coral! Ideal home decor for those who want to stay in fashion and wish to do so in an immensely useful way!